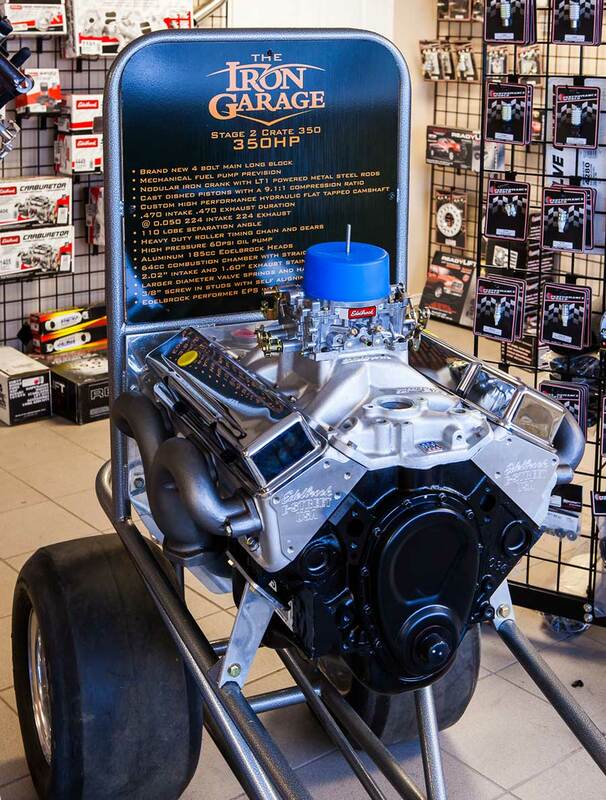 The Iron Garage is your provider of the most popular performance parts, engines, transmissions, tuners, and more. From wheels, brakes, and suspension, to superchargers, service parts, and oil, we’ve got it all. We are your local distributor for some of the biggest names in automotive performance parts and accessories. We have a wide range of Iron Garage brand merchandise for men and women in a wide range of sizes and colors. Stop by and get your swag today!